Twenty-five-year-old Lily King is wondering when her life is going to start. 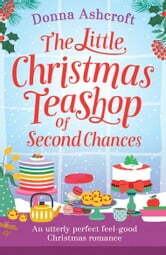 She adores working at the much-loved Castle Teashop, surrounded by familiar faces and delicious cakes. But she’s stuck in a rut. She’s just been dumped by her boyfriend and her dream job seems to be slipping through her fingers. 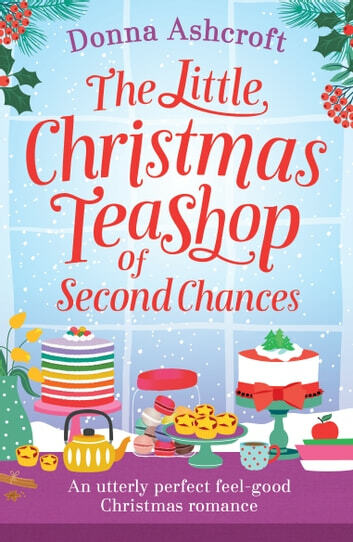 When her best friend Emily Campbell needs urgent help to organise her enchanting Christmas wedding, Lily realises it’s finally her moment to shine and reach for the opportunities she’s been wishing for. Can she pull off the biggest celebration Castle Cove has ever seen or will something - or someone - make things more complicated than she imagined? When Lily and Josh are thrown together, it’s clear they couldn’t be more different. But they begin to realise that opposites can attract – and sometimes when you’re not looking for love, it comes and finds you when you least expect it. With some festive magic, will they manage to work together and save the day? And could they discover a winter romance of their very own along the way? An utterly scrumptious festive romance about the importance of being true to yourself, following your dreams and opening your heart to second chances. Perfect for fans of Carole Matthews, Milly Johnson and Debbie Macomber. Simple and full of warmth and love. Enjoyed the story this Christmas season ! To be fair this book could have been set at any time of the year, the seasonality did feel tacked on to the story rather than Christmas being an integral part of the story. To be fair that didn't really detract from the story itself, it all felt a little lacklustre if I'm being honest. There are some interesting sections - Lily's communication with the mother who abandoned her when she was 2, her desire to be a chef and the almost crippling anxiety she feels about trying - but much of it left me feeling all a little blah. The characterisations are pretty good but apart from Lily they did have little depth. To be honest Lily's character put me in a bit of a quandry as she vacillated between the perfect doormat and this tough, sarcastic young woman and the disparity between the two felt forced on the page and without the nuance that real people have. I understand what the author was signalling to the reader with this disparity but it felt a little overblown There was an attempt to add depth to Josh's character but it was never really successful and the overriding image I came away with of him was that he was confident in his professional talents but rather mediocre as a person - not what we want from our hero. The plot actually saved this book for me as it meandered nicely and covered some lovely little side vignettes - I particularly liked the Marsha and Simon glimpses. The writing also has a good dose of wry humour, the kind that makes you smirk knowingly to yourself rather than belly laughing - I like a bit of snark. Overall a fairly solid book that entertains the reader but isn't unputdownable.